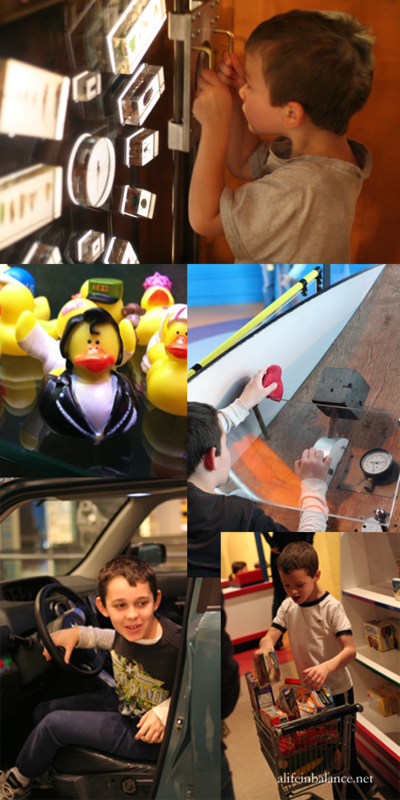 On Black Friday, we visited the Please Touch Museum in Philly with friends from school. I used a Living Social deal for discounted tickets which I had purchased in September. We kept the outing frugal by bringing water bottles in the car and going home for lunch. Lunch was Thanksgiving leftovers, of course. sadly, ive never been. mine are too old. but the grocery cart looks fun! You can still come and play, Pam! I’ll lend you a 4 year old, and you two can hang out in the Water Play or head for the Rocket room, my fav. My son STILL likes Please Touch : ) and he is turning 13 soon! That place is so much fun. Glad you had a great time. Your new blog layout looks gorgeous!